Aggregate of well-defined crystals, of high quality, especially enhanced by the photography (you must consider the small size of the sample). From the type locality for the species. 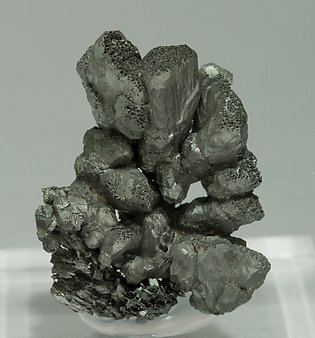 Aggregate of very aerial and very well-defined crystals with perfect terminations. The sample is of high quality, especially enhanced by the photography (you must consider the small size of the sample). From the type locality for the species. 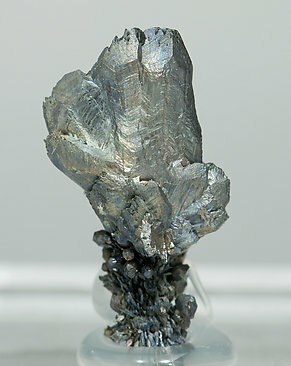 Very aerial fan-like growth of very well defined crystals with perfect terminations and on matrix. An excellent German classic, from the type locality for the species. 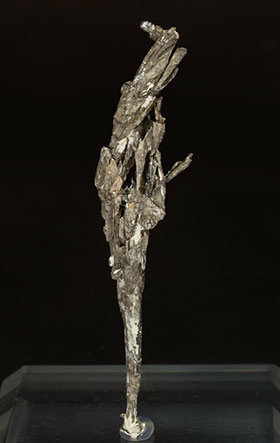 Very aerial arborescent growth of very elongated Dyscrasite crystals pseudomorphous after Allargentum crystals. We’ll send to the buyer a copy of the generic analysis that we have periodically done on these of samples. A novelty in Munich 2009. 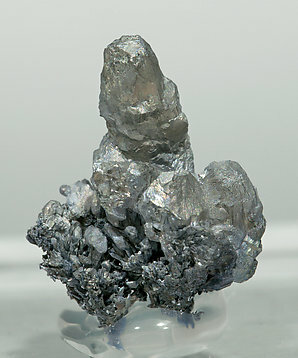 Dyscrasite appears intergrown with Silver and Allargentum. 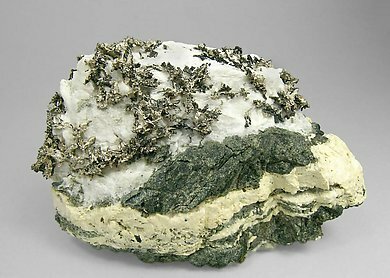 Dyscrasite is dominant in the analysis of the sample, so following the IMA recommendations, we should label it as Dyscrasite. 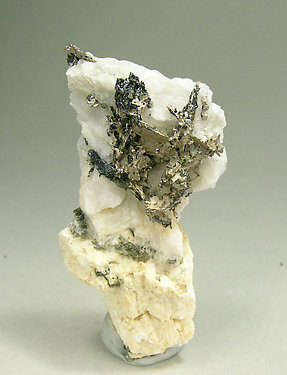 On this specimen the Dyscrasite forms arborescent growths on a Calcite rich matrix. We’ll send a copy of the analysis to the buyer of the piece.